I am currently using your form to gather information from my clients. It was developed a few years ago and is being maintained by someone else now. My most recent developer moved the Telephone field to the third field, but the data that we receive (usually a single digit) makes me think that unless the Telephone field appears at the bottom of your form (since it is subsequently processed by you), it is processed incorrectly. One of our solutions is to replace the Telephone field back to where it was. But then we thought people weren't filling it in because it was at the bottom and forgotten. That's why we moved it. So, here's my question. Is there any way that I can place the Telephone field where i want it and get it processed correctly? Please fill in as much information as possible. The more information you provide, the more accurate our quote will be. 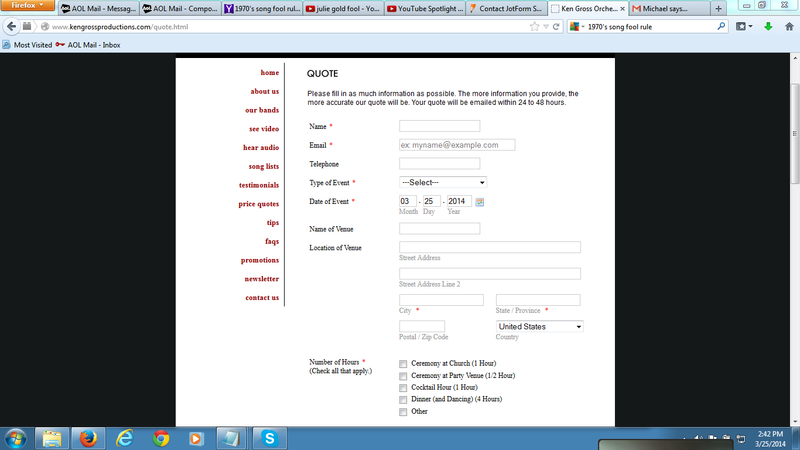 Your quote will be emailed within 24 to 48 hours. 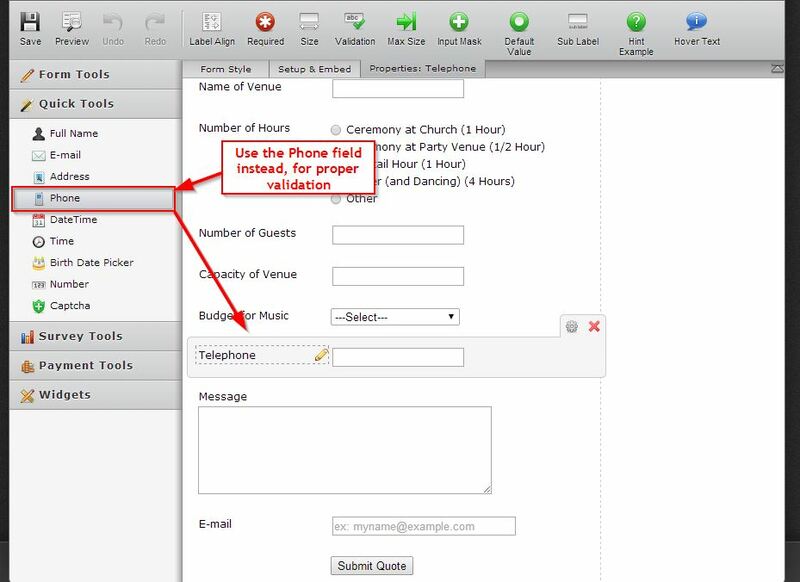 NOTE: If you do try this step, kindly perform this change on a clone version of your form, if you do delete the original telephone field, the submission data will also be lost. So it is best that any changes you do now, are made on a copy of your original form.